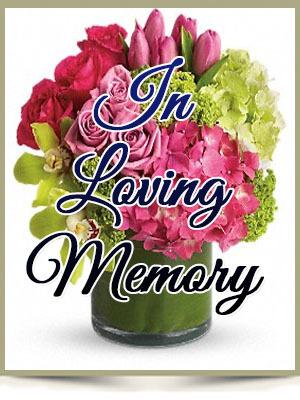 ALBANY – Helen Amelia Fisher, age 94, of Albany, N.Y., died on February 1, 2010, at the Guilderland Center Nursing Home. She was a former resident of Kingston and Lake Katrine, NY prior to moving to Albany. She was born on November 23, 1915 in Kingston, N.Y., daughter of the late George and Anna Buboltz Swint. She was a communicant of St. Joseph’s Church in Kingston before moving to Albany and a homemaker all of her life. Mrs. Fisher was predeceased by her husband, John J. Fisher, who died on January 10, 1988; her beloved son, Gerald A. Fisher; a sister, Regina Brooks; and three brothers, Robert, John and Joseph Swint. Survivors include her daughter, Maureen A. Hornbeck (Robert) of Albany, with whom she made her home; her grandsons, to whom she was a loving and generous grandmother, Steven G. Hornbeck of Albany and Keith R. Hornbeck (Jennifer) of Palm Harbor, Fla.; and her cherished great-granddaughter, Tierney E. Hornbeck of Albany; four sisters, Mary and Dolores Swint, Frances Dougherty, and Dorothy Wells of Kingston; as well as several nephews. Funeral arrangements are private and will be handled by Hans Funeral Home, Western Avenue, at the convenience of the family. Burial will be in St. Mary’s Cemetery in Kingston, NY. Helen’s family would like to extend a special thank you to the staff of the Guilderland Center Nursing Home for their dedicated care given to our dear mother, grandmother, and great-grandmother. If desired, contributions in her memory may be made to the Fisher House Foundation, Inc., 111 Rockville Pike, Suite 420, Rockville, MD 20850-5168, or a charity of your choice.